This wise, funny, and compassionate book follows Gowins apprenticeship with Pir Vilayat Inayat Khan, spiritual leader of the Sufi Order International. Until now, Pir Vilayat�s order has not had a strong, accessible introduction. This book not only provides that service but is more down-to-earth than most books on Sufism. It also has the advantage of being universalistic. �The Sufi Way is not a religion or a component of a religion but the heart of all religions and spiritualities,� Gowins says. Because it is non-dogmatic and offers no catechisms or creeds, its teachers are essential. 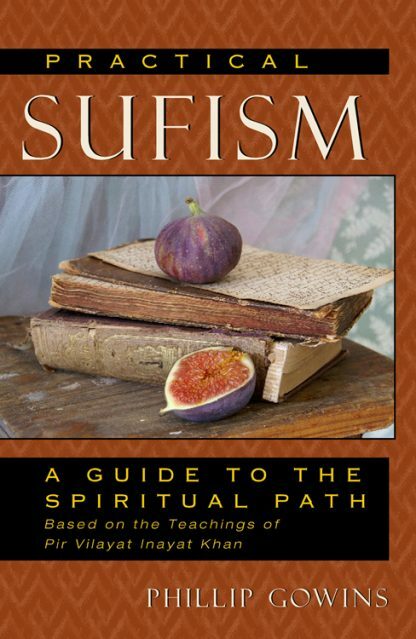 Gowins emerges as a superb teacher, offering a user-friendly guide to the Sufi Way that is at once valuable to any seeker entering any spiritual path. Gowins is quick to emphasize that Sufism is not the only path or even the right path for everyone. His approach is full of engaging stories and specific practices that could be helpful in many circumstances. Readers will benefit from his gentle Sufi teachings of love, tolerance, unity, and consciousness, no matter what their chosen path. Phillip Gowins is an initiate and representative of the Sufi Order. He had a brief carrier in military intelligence serving in Korea, Hawaii and at various state side training centers. After a short time in credit collections, he spent the next 35 years as a carpenter and cabinet maker. In 1979, after extensively researching Sufi teachers, he found Pir Vilayat Inayat Khan and became one of his many devoted students. While living in a Sufi community in New York City he met his wife Dawn. They married in 1981. In 1987, he and his wife were named representatives of the Sufi Order and were authorized to give spiritual practices and advise and to initiate people into Sufism. In 2000 they both realized that their desire was to help people heal directly. In looking for a medium with which to accomplish this, they discovered hypnosis. In 2002 after extensive training with the National Guild of Hypnotists, they were certified to practice hypnotherapy. Phillip currently lives in Scranton, PA where he and his wife run a hypnosis office, Hypnosis Horizons, Inc.